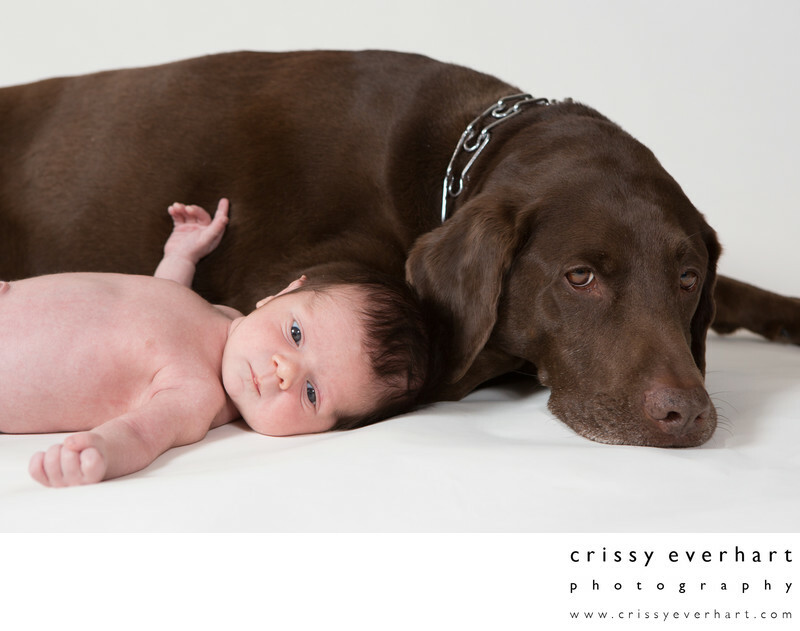 Big brother dog Rugby, a chocolate labrador retriever, lies down with his newborn little brother during his photo session. Image is photographed on a white background in the client's home. Rugby is no stranger to my camera, he has been photographed at his owners' wedding, maternity session, newborn session and several family portraits!